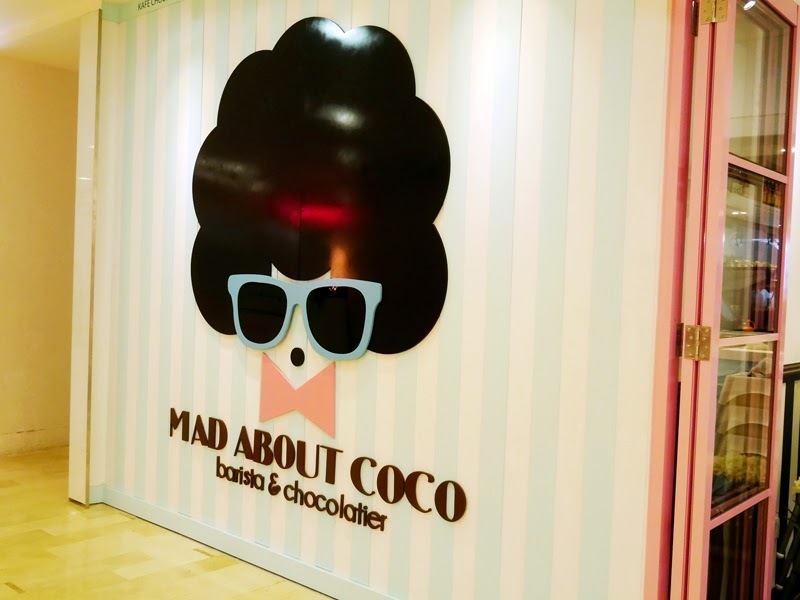 If you didn't already know, Mad About Coco has opened their second outlet in Fahrenheit 88!!! 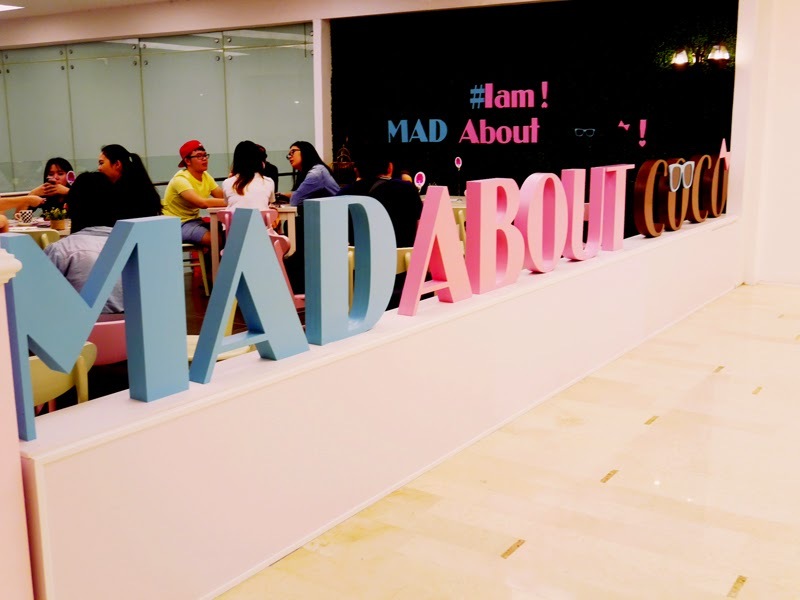 The first outlet is located in Publika, which is to me, further away from home. Hence, the second outlet is a good news I was really excited about! 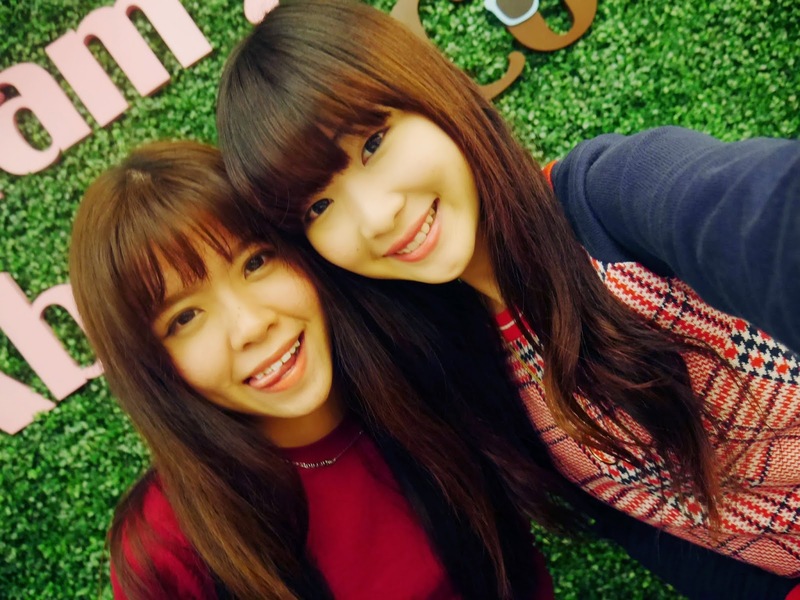 Remember the previous post which I blogged about Feeka? If you missed that out, you should read it first! Here's the link. 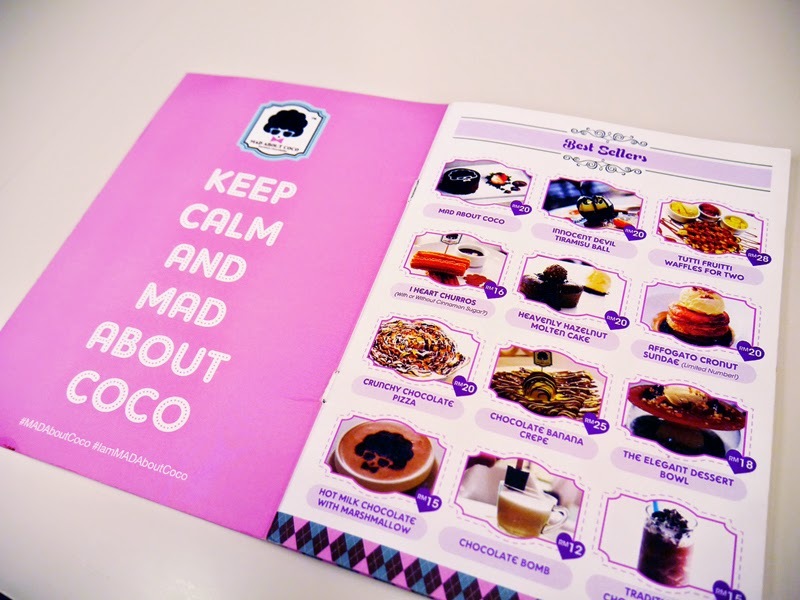 After our brunch at Feeka that day, we headed to Mad About Coco for some good ol' desserts. 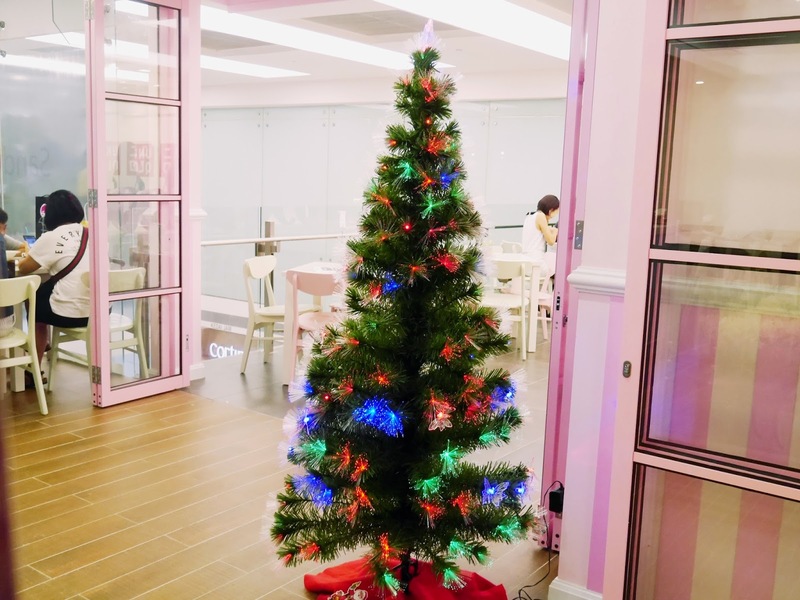 It's incredibly easy to spot this cafe, all thanks to the cute man (I suppose he's a man) with distinctive hairstyle (which looks very much like a cloud painted black), fashionable baby blue shades and a baby pink bow tie, leaning against its signature pastel-coloured theme. 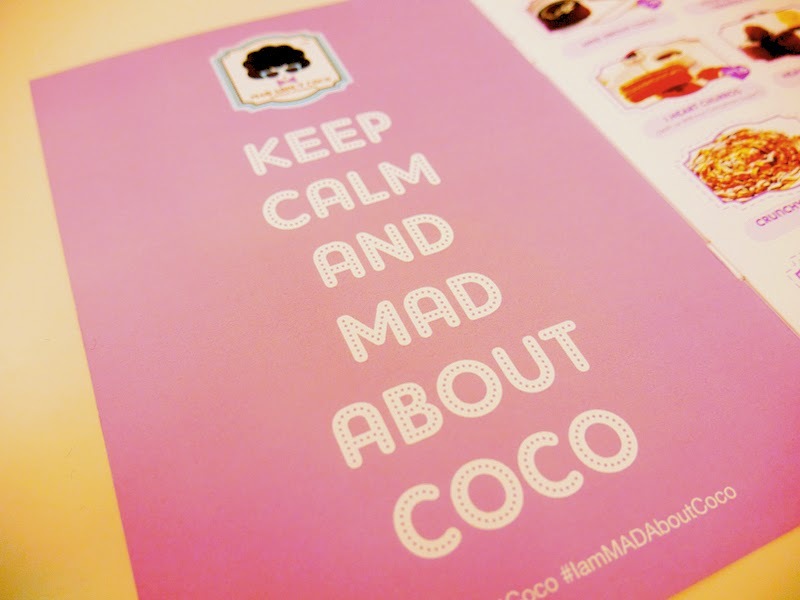 Mad About Coco is all (okay la maybe not all, but mostly) about chocolate. So if you're a sucker for chocolate, welcome to your heaven: where you can gorge your soul with with shining-brown holiness. Wooden floor, pink doors, pink wall, white furniture - am I visiting my dream home?!! Some of their best sellers! 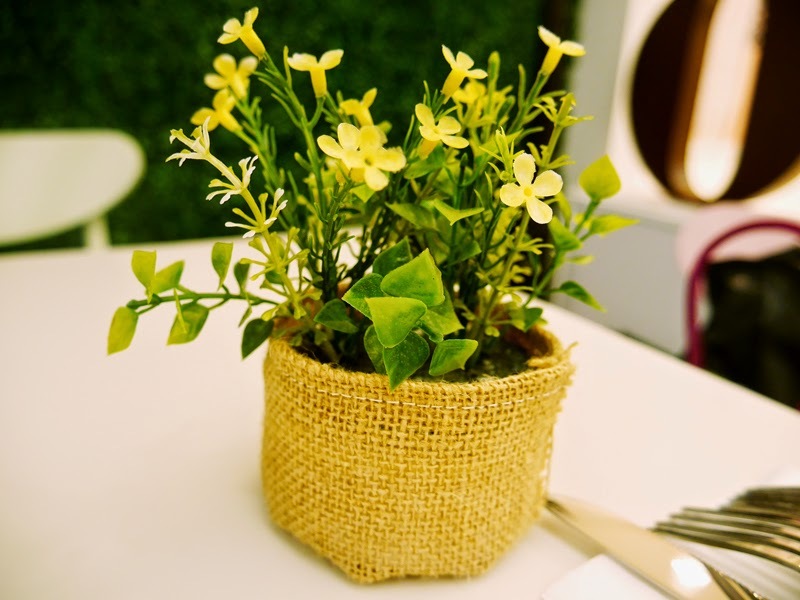 Alongside their sweet offerings, they also serve pasta and sandwiches as well. 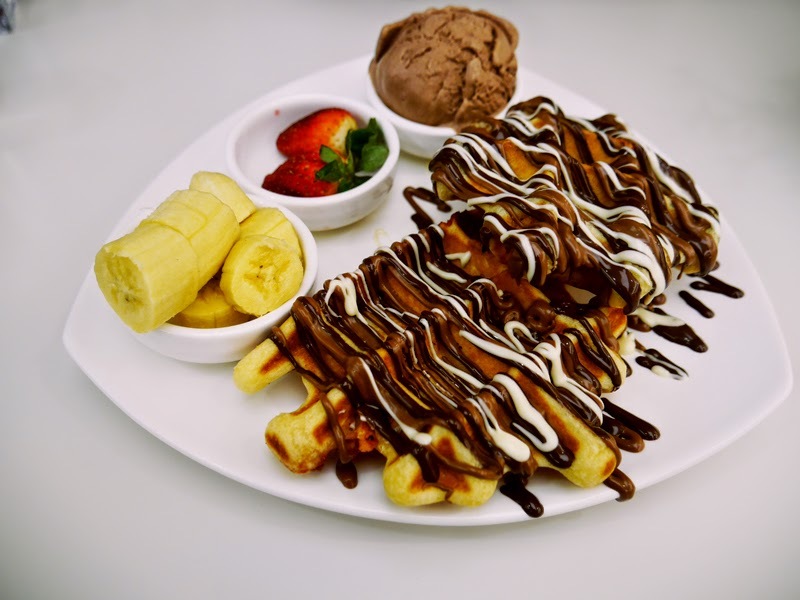 Waffles dripped all over with dark, milk and white chocolate, cut bananas, fresh strawberries and a scoopful of ice-cream; I bet you can't name anything missing. The waffles tasted great!! I'm not really into chocolate, but this one has got my palate turned on! The taste was even better accentuated with bananas. *drools* As much as I wanted to make a compliment, there was nothing special about the ice-cream. The texture was rather disappointing too. If you happen to be around town and your rebellious sweet tooth calls, this place is not a bad choice at all!